It is a true pleasure to present an outstanding modern pencil product. Previewed here, some of the creators of the original and renowned Colleen Woods series have reprised the series with an even more impressive rendition of a multi-wood species pencil set. The original set was two volumes of twelve, for a total of twenty-four pencils. The new set has a more modest ten pencils. Eight repeat wood species used in the original set. I photographed these eight (new and old) together for contrast. Some have different national origins or specific gravity. The rosewood pencil in particular seems to differ in tone. The new set has better typeface rendering on the pencils, and are about 3mm shorter. One end exposes the leads, and the other is sealed, an appropriately sophisticated finish. 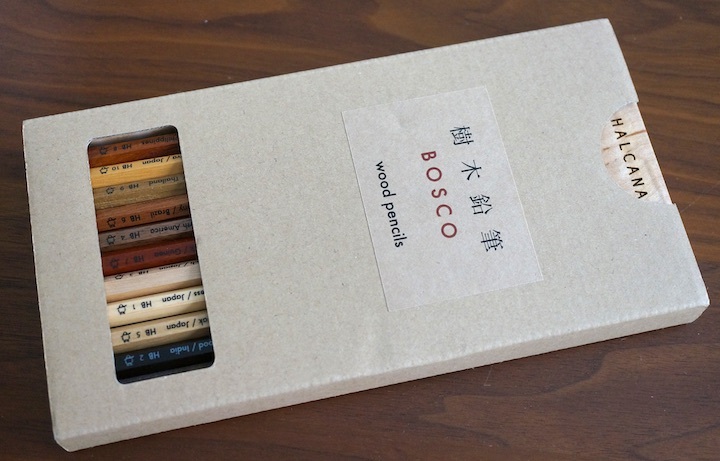 Like the original, the packaging is modest cardboard, though the pencils come in a pleasing maple tray..
One of motivations for reviving pencil talk was the ability to discuss truly great pencil products, and this set meets that criteria. There are a few matters around the origins of this set that I don’t fully understand, and there seem to be presentation variations in different markets. I’ll mention a major difference from the original set that may be of interest to readers – these are currently for sale in multiple markets. 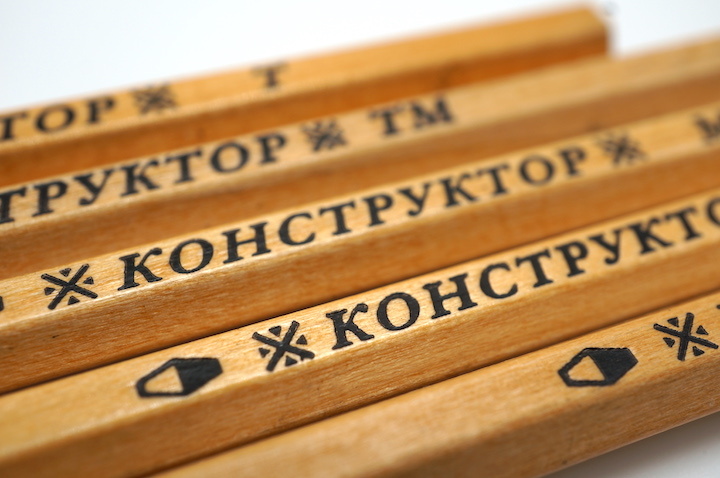 The Krasin pencil company of Russia dates from 1926, and may be the most prominent national brand not yet seen at this blog. 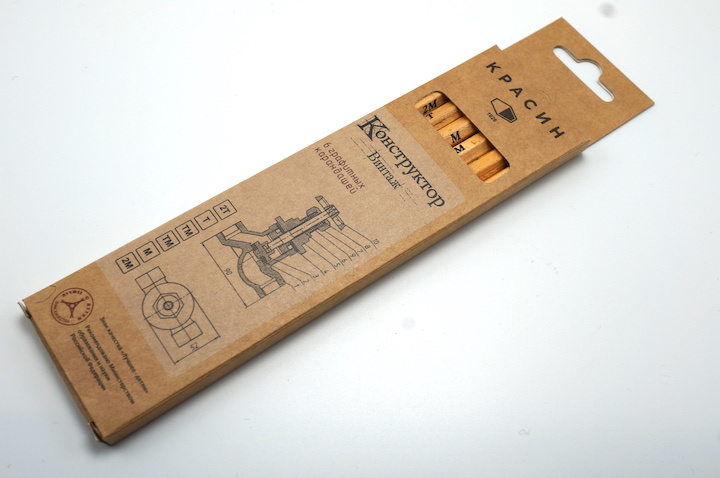 Named after a diplomat (Krasin seems to be in a lot of online newsreels, visiting Western capitals in the 1920s), the brand states they are the leading pencil producer in Russia and the countries of the former Soviet Union. The Krasin catalog shows a full product line – colour, writing, drawing, carpenter, red and blue, and probably other varieties that I can’t discern, not speaking or reading the Russian language. One of the graphite lines is the Constructor, and the pencil we see today is the Constructor Vintage. 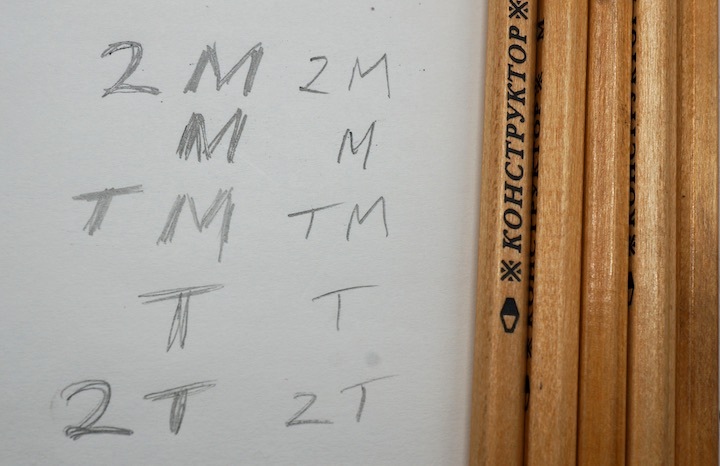 One notes right away the Cyrillic lettering, and the replacement of the familiar “HB” grade indication with “TM”. 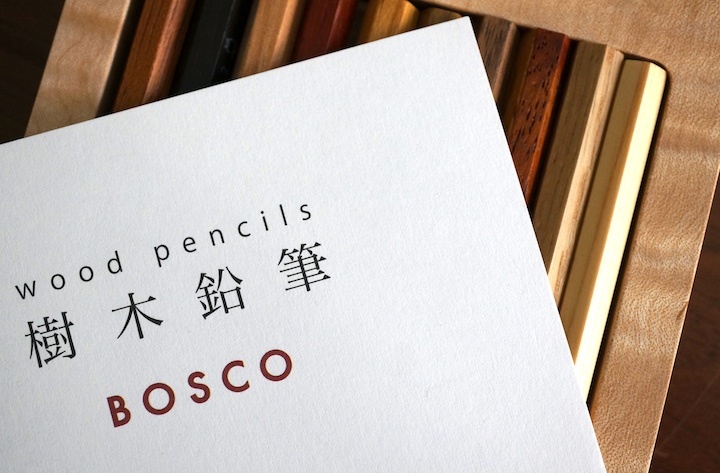 The pencil is distinguished by a simple attractive design with a clear varnish. The packaging is very nice – not super fancy – but it nicely presents the product. It is not the typical afterthought. Weight: I’m not in current possession of a scale. I’ll update this post when I get one. Dimensions: Rounded (though less rounded than most European pencils) hexagon with unfinished cap. The box helpfully states the pencils are 177mm long, 7.1mm side to side, and that the core has a 2mm diameter. I did not confirm these measurements. Appearance: The pencils are hexagonal and factory sharpened. The cap is not finished. 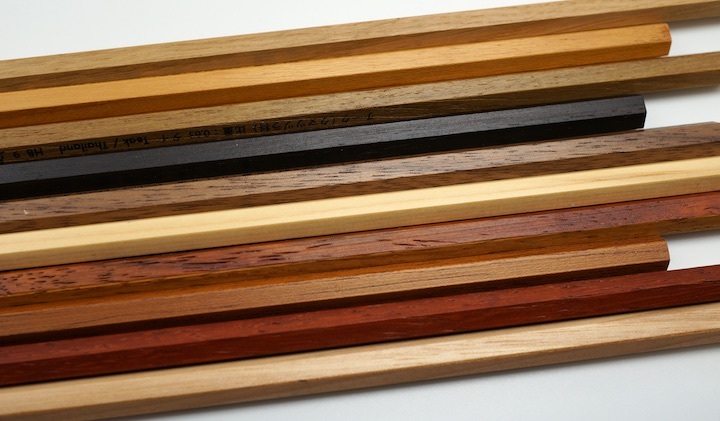 The pencil surface is a clear or very light lacquer. 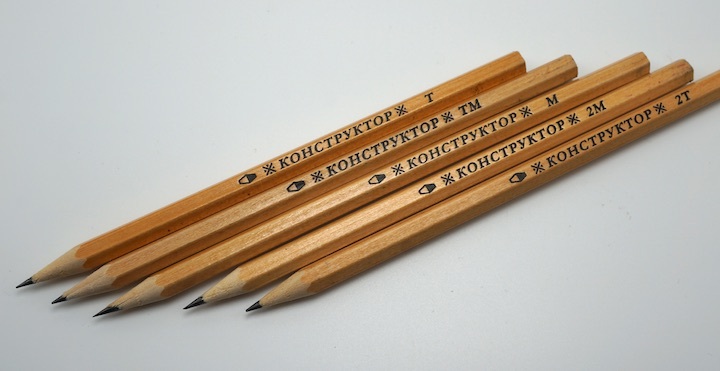 The pencil is marked: The imprint shows the Krasin logo, some symbols offsetting the Russian word for “Constructor”, and the pencil grade. To my eye, it is a pleasing and minimal look. Other notes: The pencil box may contain further information, but I am not able to read it. Grip: I found the lacquer to be a bit “grippy” or “tacky”, especially on a humid day. The appearance is nice, but the touch doesn’t convey that this was the best possible approach. Sharpening: I started with the excellent Möbius + Ruppert Pollux. To my surprise, the lead was so off centre that unremoved wood made the pencil unusable (David Rees had a term for this, didn’t he?). I tried two other pencils, and the leads kept breaking. I thought this must be another Pollux-unfriendly pencil. I switched to a KUM 300-2 and had the same problem. So I just kept going until I got lucky. The wood type is unknown to me. Writing: There is something funny going on. Even though the pencils were almost unsharpenable – the leads seemed better than I expected. Not great, but definitely a notch above discount pencils, especially the 2M. There was variation among the grades. Erasure: I did not notice anything unusual using a Muji eraser on Ito Bindery paper. Overall: This is a really interesting pencil, one I hoped to find years earlier. Also, I suspect that this particular version is sold as a special item. But as a national flagship pencil, it is very disappointing. See also: Krasin Pencil Co. The muted fate of the book Stationery Fever was somewhat of an enigma to me – it had so many references and contributions from prominent online presences that I thought it must have smartly set itself up for success. It even examined some of the issues with the new “Blackwing”. I’ve heard the publisher didn’t treat authors or photographers as they expected. That is sad to learn, as the book has a lot to offer, and introduced me to several very interesting stationery products and stores, including the Neri leadholder, the subject of today’s review. Made by Iterno Italiano in conjunction with Parafernalia and designed by Giulio Iacchetti, this leadholder has a striking minimalist design. The leadholder takes 5.6mm lead, and is available in black, anthracite, and aluminum. The version shown here is the anthracite. The body is aluminum. 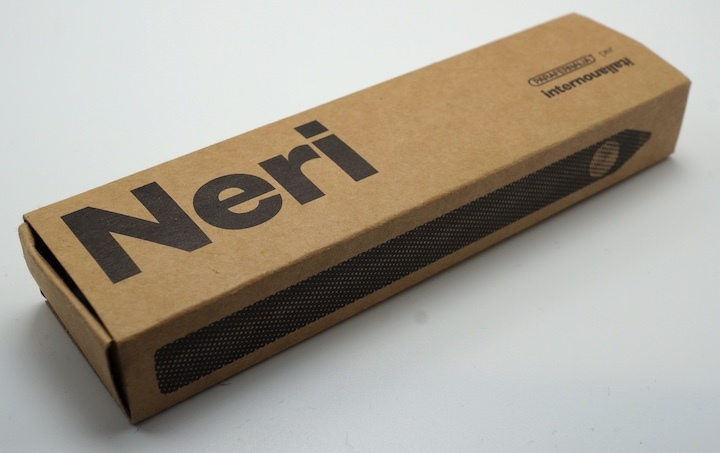 There is also the Neri S, a 3.15mm version in a wider colour range. And a ballpoint also joined the family. A matching lead pointer would be a nice accessory. 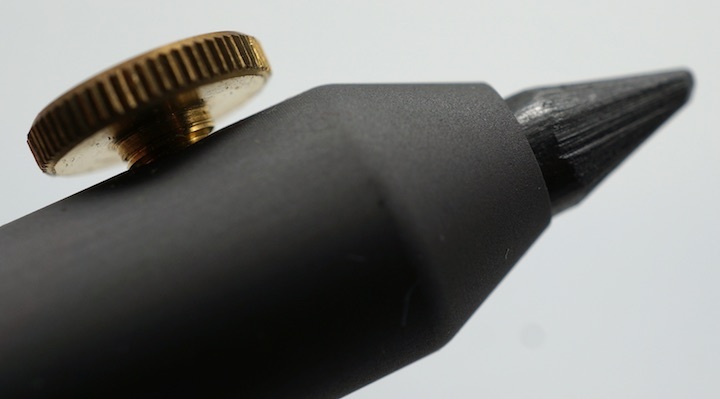 A writing implement usually leads one’s eye to the point of contact – the point, the nib, the brush – but the Neri is different – it has a striking feature – a giant brass screw. The simple design is very appealing. Having seen various complications over the years – the Neri is simple in contrast. (The Parafernalia association surprised me. 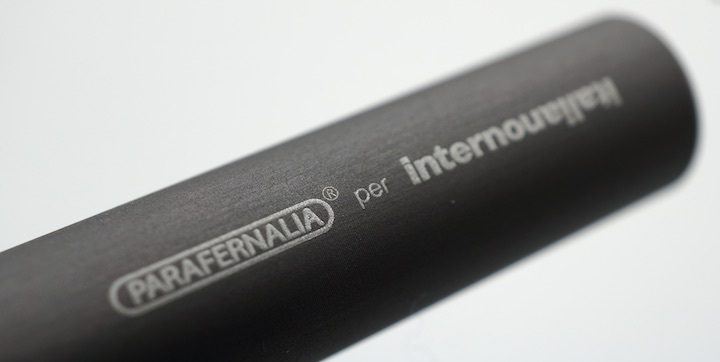 Parafernalia in particular are known for exceedingly complicated products such as their Revolution pencil.) 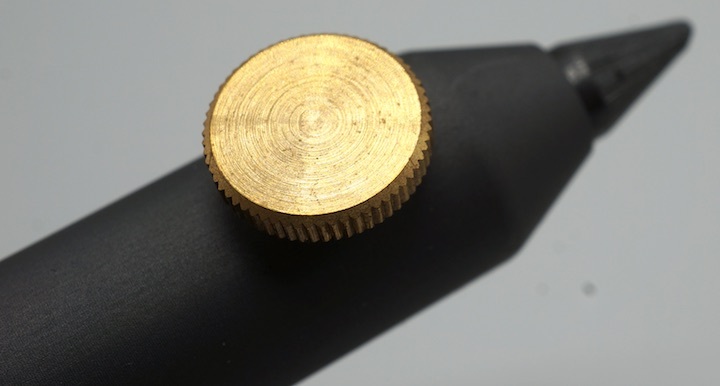 The Neri is a holder for a 5.6mm lead, with a large brass screw to hold the lead in place. That’s it, only two pieces! How well does it work? I believe there is one serious problem. This mechanism doesn’t have a piece on the other side of the screw to hold and thus centre the lead. So the lead is kept in place by the screw on one side, and hugs the leadholder’s opening on the other side. It is off centre or askew. The feel in the hand is a personal matter. I’ve both liked and not liked it at times. I’d recommend trying it in person before purchasing. Overall, the product has great design, but for me the off centre lead is a letdown. Correction. Also an apology for jumping the gun. I am pleased to report that Strikethru is alive and well! Please go take a look. The great blog Strikethru also seems to be gone. Typewriter focused, it was of course about more. For me, it often led to smiles. It inspired me to buy and read The Iron Whim (and I learned that a wonderful former neighbor knows the author. That neighbor has also lived in Kitchener and Toronto and the Bay Area!). It also led to me to Berkeley Typewriter, Paper-Ya, and the Regional Assembly of Text. Author Cheryl remains active online. We wish her the best! The website leadholder.com appears offline. My thanks to blog reader Paul for alerting me. Leadholder was an online catalogue of thick lead leadholders – but also thin lead mechanical pencils and woodcase pencils devoted to technical drawing. It had a collection of historical catalogs that was a great reference for anyone interested in pencil history. The website was also a technical marvel, having many navigational features that were not commonly available back in 2001. See also Dave’s Mechanical Pencils, ZossPens, Pencil Pages. July 1st was Canada Day, and a special one – the 150th anniversary of Canadian confederation. 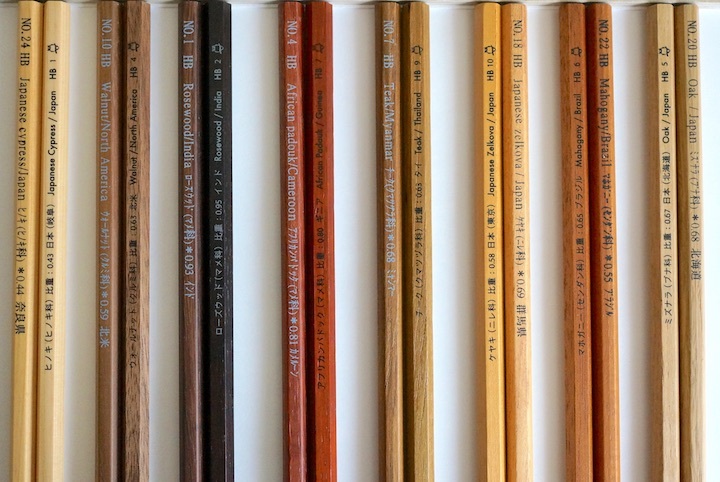 I’ve long wanted to write an article about pencils in Canada. Unfortunately, information is scarce, and after many years editing and writing this blog, I remain knowing very little. Still, perhaps there is a detail that might be of interest to readers, and perhaps you may have something to share! Formal graphite mining in Canada probably started at the Miller or Keystone mine in Grenville-sur-la-Rouge (also known as Grenville), Quebec. The exact date may not be certain. The very informative Quebec Mines Bulletin cites 1845. Mining site Mindat.org suggests pre-1845, probably 1837 or 1838 and cites the Bulletin on Graphite, Mineral Resources of Canada, Ells, R. W. (1904). This mine is still in existance in 2017! I think this mine had a famous customer. Henry Petroski’s The Pencil mentions that Thoreau used Canadian graphite. His reference is to The Days of Henry Thoreau: A Biography, Walter Harding. And when that mine eventually closed, they turned to importing graphite from Canada. John Thoreau must have used the Miller mine in Grenville as a graphite source. Petroski mentions that three US manufacturers all opened Canadian factories in 1932. Why the same year? I can only speculate that whoever was first spurred quick competition. Dixon opened in the Toronto suburb of Newmarket. There is a Dixon Plaza named after the company, and they still have a small office in the locale. 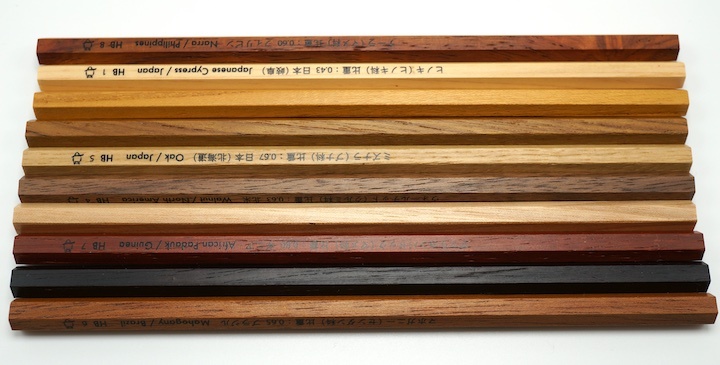 Do you like the Caran d’Ache Swiss Wood pencil’s local nature? Dixon once made a similar Canadian pencil, the Chancellor, with Canadian wood, graphite, and manufacture. Heather at A Penchant for Paper owns one! I’d love to see one, but they seem to be exceedingly rare today. Eberhard Faber located in Drummondville, Quebec. Venus Pencil was in west end Toronto. I’m not honestly sure if it dates to 1932. There is a discount eyeglass company on the site now. Venus is know to Canadians for the Laurentien pencil crayon. A blog reader told me one of the eonomic diversification projects that former Newfoundland premier Joey Smallwood championed was a pencil factory. Is this true? I would love to see a Newfoundland pencil! And two resource notes: Petroski mentions that Canadian graphite again came to the rescue during WWII when other sources were unavailable. 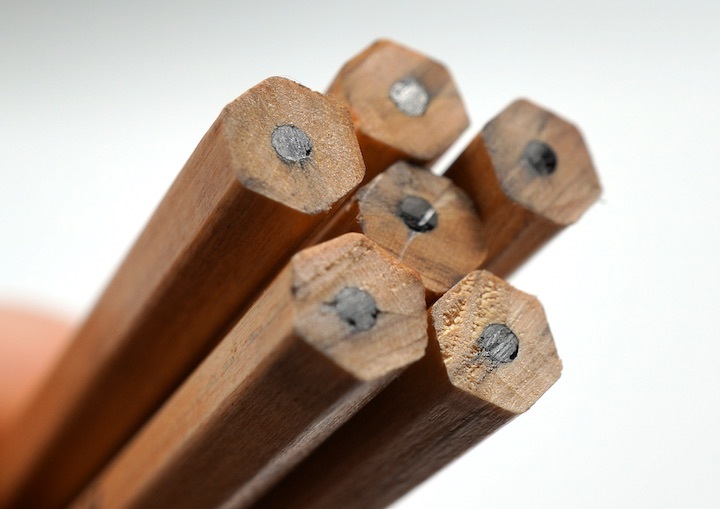 Staedtler have mentioned (with little detail) using Canadian cedar. CNP Industries – this was apparently a short-lived Quebec pencil company. Have you heard of it? 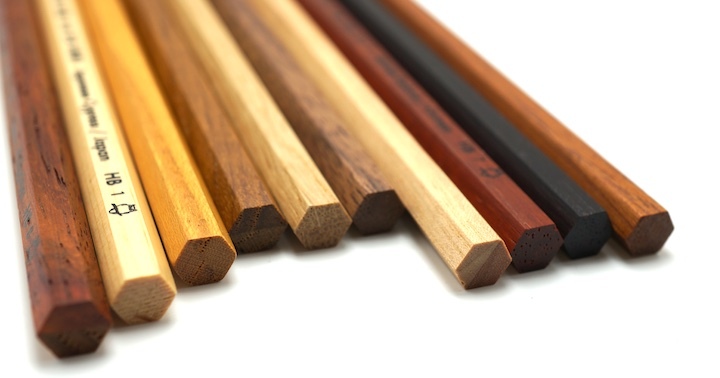 Northern Pencils A briefly alive slat supplier? Can any readers share more about pencils in Canada?